The statues that are carried are beautifully made and are treasured and protected by the cofradias throughout the year before being dressed, covered in flowers and mounted on the pasos for the big event of the year. The processions take place throughout Holy Week (Semana Santa), starting on Palm Sunday and finishing on Easter Sunday. Spain’s most famous sculptor of these figures was Francisco Salzillo (1707 – 1783), considered by some to have been one of the great Spanish sculptors of the 18th century and by others to be nothing more than a folk artist. He was born in the city of Murcia in southern Spain, where there is now a museum dedicated to his life and work. He always worked in polychromed wood and his first statue, of St. Ines de Montepulciano, was completed when he was just twenty. The work had been begun by his father, an Italian who had moved to Murcia to work alongside Nicolás de Bussy, but was completed by the young Francisco. Among his most famous works are a ‘Last Supper,’ created in 1763 and depicting Jesus and his twelve apostles seated around a table and ‘The Agony in the Garden’ created in 1754 which shows an angel showing Jesus a chalice whilst three apostles sleep under a palm tree. The ‘Last Supper’ has undergone restoration recently and appears at the Easter procession on Good Friday in Murcia City. Francisco Salzillo also created a magnificent ‘Belén’ or Nativity Scene for Jesualdo Riquelme y Fontes, a Murcian Marquis, consisting of 556 pieces, many of them created from life models of workers in and around the city of Murcia at the time. During the Spanish Civil War (1936- 1939) many of Salzillo’s works were destroyed but enough remain to show the mastery of the sculptor and to make the museum dedicated to his life and work well worth a visit. Kyle is a friend who lives on Long Island in the USA. He and his family lost virtually everything in Hurricane Sandy. 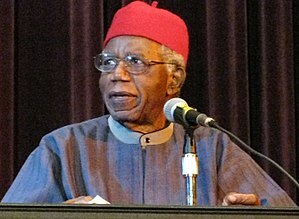 He is a great poet and writer but surviving that disaster has made his words more powerful. It doesn’t matter what religion you are, or even if you don’t have any religious beliefs, read what he has written about Easter. Finally, common sense has prevailed and the High Court judge in Harare, Zimbabwe has let well known Human Rights lawyer Beatrice Mtetwa out of jail on a bail of $500. This was after huge international pressure. It does not bode well for the elections due to take place later in the year in Zimbabwe. The very first thing I posted on this blog was a photograph of a building that reminded me of some of the Gaudi buildings I had seen on a visit to Barcelona. I have a habit of wandering around looking up at architecture which is not very smart as I need a walking stick to walk and there is always the likelihood of falling down the many potholes that litter the streets of Glasgow.However, you see some amazing things when you look up rather than at the pavement! Having taken the photograph, I decided to find out a bit more about the building itself. It is situated in St Vincent Street, Glasgow and is a very narrow building. It was built from red sandstone in 1899 with lavish use of what was then a novelty, wrought iron and lots of glass. The architect was one James Salmon who was a contemporary of Charles Rennie Mackintosh. The building is ten stories high and has the strange cupola made of lead that you can see in the photo. Many people thougt it looked like a hat rack, so the building has been known as such ever since. Despite the narrowness of the building, the architect managed to squeeze in more than forty windows including a drum shaped stained glass window which has a sailing ship design. The building was renovated in 1990 and is now an office block. I didn’t manage to go in but according to letting agent blurb, the lifts are still in the original wrought iron art nouveau style but presumably with up to date machinery. Pablo Picasso is perhaps the most famous of the Spanish painters and certainly the one that most people of this modern era remember. He was born in 1881 in the city of Malaga in southern Spain. His father was an art teacher and young Pablo began drawing in earnest from the tender age of eight. He wanted to be able to be amongst the greats of Spanish art such as Velázquez or El Greco but there was a problem – he just could not get the composition of his paintings right. At the age of 17, he moved to Barcelona and became part of the avant-garde group there developing his style under the influence of the likes of Antoni Gaudi. He went through a series of different styles, known as the ‘Rose Period’ and then the ‘Blue period, the latter caused by the suicide of his close friend Carlos Casamegas. Although the ‘Blue Period’ did have to do with his state of mind, Picasso was also experimenting with the use of low light in the style of El Greco. From 1906, his style changed again, this time with an influence from Africa before developing into the style for which he is most famous, that of Cubism, which marked the start of abstract art. Propaganda from both sides tried to either dismiss the death toll as around 250 or count the dead in the thousands, depending on which side of the war they supported. What is certain though is that a great many people lost their lives in terrible circumstances. Picasso was horrified by the unprovoked bombing of the unarmed town, which contained mainly women, children and the elderly as the men were away fighting. He began to make preliminary drawings for his masterwork and around fifty studies. The final piece is an incredible 3.5 m by 7.6 m in size and took just 24 days to finish. There are many aspects to the painting, and very many interpretations of the different parts of the piece, but it can be seen as an outpouring of Picasso’s pain and grief at what was happening to his beloved country. His relationship with the French photographer Dora Maar also influenced his work and she in fact took photographs of him at work creating his masterpiece which show how the work changed and developed over the 24 days. She appears in the painting as the face of the woman bearing a lamp. He was also visited by the British Sculptor, Henry Moore and the Spanish painter Salvador Dali during the production of the painting. The painting can be seen in the Museo Reina Sofia in Madrid but has also travelled round the world, first being exhibited at the 1937 Paris World Fair and then going on a world tour. Today, art critics still argue over the symbolism of the painting, especially the bull and the horse although Picasso himself is quoted as saying “the bull is a bull and the horse is a horse”. Beatrice Mtetwa is a well known Zimbabwean human rights lawyer who has been arrested and is being illegally detained following the referendum on the new constitution. Lawyers, human rights groups such as Amnesty International and the public at large are outraged at the treatment of Ms Mtetwa. In the meantime, Zimbabwe President Robert Mugabe was among those in the VIP section at the inaugural mass for the new Pope, Francis I. How can a man who claims to be a devout Catholic treat the people in his country, over which he has held sway for more than 30 years, in such a brutal way? The works of Bartolomé Esteban Murillo, along with those of Diego Velazquez, are probably the best known of the earlier Spanish painters outside of Spain itself. He was born in 1617 in Seville, a city famous for producing artists and writers of the greatest calibre. He lost his parents whilst still a young boy and was taken in by a local artist called Juan del Castillo from whom he learned to paint and draw. In his early years, he produced religious paintings for churches in Spain and in the Spanish colonies in the Americas as well as delightful pictures of local urchins, flower sellers and the like in his native city. His later works were nearly all on religious themes which he treated in an imaginative and richly coloured style. Works such as ‘Holy Family with Bird’ (c1650) , three versions of ‘The Immaculate Conception’ and various paintings of saints show this intense color and use of light which are the signature of his paintings as is the mist which often surrounds the main characters containing angels, giving his works an atmospheric effect not previously seen in Spanish works of art. His paintings became widely popular, not just in his native Spain but across Europe and especially in England where the likes of Joshua Reynolds and John Constable were influenced by his style. Until the 19th century, he was the most famous Spanish artist known to the world and later Spanish artists were influenced and encouraged by his style and fame. 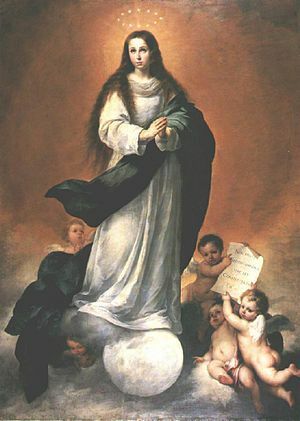 Murillo started an Academy of Art in Seville to encourage young artists and was himself a director. At this time, he received many commissions to produce religious works. It was while he was painting an altarpiece for the Capuchins Church in Cadiz in 1680 that he fell from the scaffolding he was using and was severely injured. He died in April 1682 from his injuries and was buried in the Cathedral in Seville, in front of one of his favorite paintings. The Willow Tea Rooms have been a tourist attraction in Glasgow for well over a hundred years. 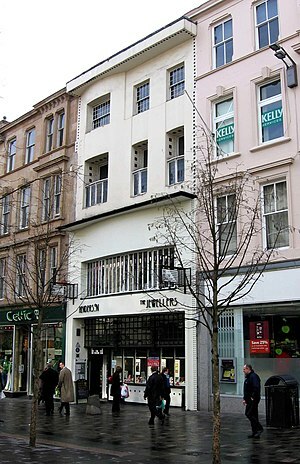 Designed by Charles Rennie Mackintosh, the tea rooms are a part of Glasgow’s heritage. The current tenant is starting a campaign to try and raise funds to buy and restore the building. This is the article I wrote on the subject for Digital Journal. Like Scot’s poet, Robert Burns? Then this may tickle your funny bone.